Tanners is family-owned, family-run and resolutely independent. 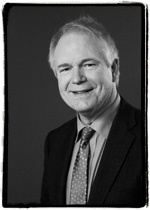 It is run by James Tanner chairman, who is the fourth generation of the family to work in the company. The firm employs more than 100 people with the majority split between its distinctive, black & white headquarters in Shrewsbury and its distribution depot in Wales. Approximately half Tanners’ sales are to quality-minded hotels and restaurants and half to private clients and corporate customers such as universities, colleges and companies - not only locally but countrywide too. Good traditional service is what Tanners is about, but ‘traditional’ in the best sense of the word. We find it easier to deliver this with a core of long-serving staff and we are lucky in this respect: Tanners currently have 12 members of staff who will have completed 30 years with the firm. Whether over the telephone, on the shop floor or at tastings, it is crucial for us to give you friendly, down-to-earth advice at whatever level you require. We recruit people who already have an interest in wine, food and travel and then put them through our own training course as well as their Wine & Spirit Education Trust examinations. At a company the size of Tanners, it is easy for staff to taste regularly, to have regular contact with the buying team and to travel to the vineyards on whatever trips are available. And if your questions cannot be answered immediately, our many long-serving staff members provide a vast bank of wisdom to draw upon. To find out more about our teams in Shrewsbury, Chester, Bridgnorth, Hereford, Welshpool and Llandudno, please visit Our Branches page. Our Private House Sales team is based in our Shrewsbury headquarters and should be your first port of call for wine advice, telephone ordering and mail order enquiries. It is directed by Robert Boutflower and includes John Melhuish, Rachel Armstrong, Robin Torrens and Graham Mason. 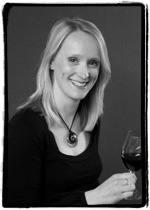 They all enjoy wine, have travelled widely and are able to give down-to-earth advice at any level. You are also very welcome to come and visit us in person, to discuss orders for delivery including wines for a wedding or to lay down. If you want to see a particular member of the team, please ring ahead on 01743 234455. They enjoy putting a face to a name. 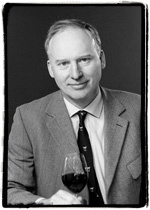 Robert joined Tanners as Private Sales Director in 2005 – the year of the first ‘fabled Bordeaux vintage’ of recent time. Prior to that he ran a specialist Spanish wine importing business in Cornwall (convenient, he says, for nowhere but the beach) for ten years, handling agencies like La Rioja Alta, Juve y Camps Cava and Jean Leon. His early career, and a distinction in the WSET Diploma, revolved round the Bristol wine scene and tastings with such luminaries as John Avery, John Harvey and Bill Baker. Apart from heading up, “all the private customer business,” Robert keeps an eye on the ‘hispanic’ part of our range, visiting Spain, Portugal and South America, as well as Beaujolais (to keep his French up to scratch). Outside the office, Robert is usually to be found elbow-deep in DIY or making weird concoctions from whatever he can pluck from the hedgerows. A countryman at heart, an honourable Third from Royal Holloway for his Zoology degree put paid to a life time ambition of being the next David Attenborough. John joined Tanners as a Christmas help in 1974, and was asked to stay on! He managed two Tanners shops and then joined the mail order team in 1984 and has overseen every Bordeaux opening offer and shipment since. He started en primeur offers of Rhone wines in 1994 and more recently has been a keen, and some say relentless, advocate of the red wines of the Douro valley. 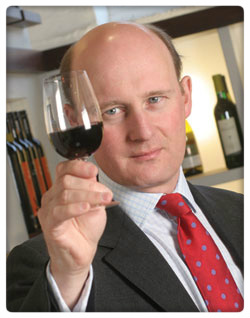 John puts his money where his mouth is, and is a keen collector of all wines but in particular Burgundy and yes Douro!! Outside of work he is a music fan and has a huge collection of all genres, but anyone who knocks The Beatles will get short shrift! His perfect day would involve the Aussies getting thrashed at Lords, whilst drinking a nice bottle of Le Chambertin, Armand Rousseau (he already has the bottle maturing!). After studying History and English at university, a spot of travelling and a brief MOD contract, Rachel joined Tanners more than 10 years ago and has been successful in gaining a merit for her WSET Diploma. 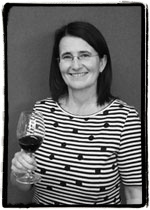 She is a particular champion for the wines of Australia having travelled extensively around its wine regions and Rachel is also something of a Cognac buff having visited the region (one of many on her European travels). When she’s not planning the next set of Wine in Time cases for Tanners Wine Club, Rachel loves cooking for friends and family and is a particular fan of the half-empty fridge challenge! Her favourite mid-week wines are the Colombard Plaimont if she’s in the mood for white and the Epoto Tempranillo, if the occasion demands a red. Graham joined Tanners in 2000 and clearly can’t get enough of studying as he not only has a history AND a law degree under his belt, but has also recently passed his WSET Diploma. Graham’s most memorable wine-drinking experience would have to be his 31st Birthday, which was spent trekking through the canyons of Peru before celebrating with a luke-warm bottle of Peruvian rosé and guinea pig – gifts from his walking buddies. Needless to say, the wine was awful and the guinea pig – unspeakable! Fortunately, things have improved and Graham is now more likely to celebrate his next milestone with fine white Burgundy! Graham has travelled extensively through the wine regions of France, South America, New Zealand, Australia and South Africa but he still has a hankering to visit California – an exciting wine growing region where anything goes. Our website team comprises of Richard Parsons-Jones, Emma Pook, Emma Ward & Uta Heath. During office hours, we endeavour to be on hand to offer you support so do get in touch with one of us directly and we will happily answer any queries you have regarding our wines, the website, or orders you have placed online. We can be contacted by using the contact form or by calling 01743 234455. 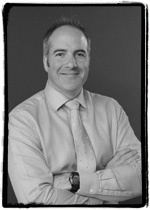 Richard graduated with a BSc Hons in Chemistry in 1995 from Nottingham University, and a few months later dipped his toe in the wine trade. 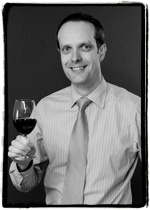 Bitten by the wine bug he gained his WSET Diploma Hons several years later and after managing our Bridgnorth shop moved to Shrewsbury’s Private House Department. Move on a year or two and the Tanners website and a new ‘techie’ were born! Richard single-handedly flew the site for seven years, and today is thankfully part of a larger team. A fan of the classic regions (especially Burgundy and Bordeaux), a huge advocate of the wines of Austria, and a borderline whisky nut, when he’s not parked in-front of a computer you’ll probably find him being exceedingly outdoorsy somewhere or yomping up big hills. 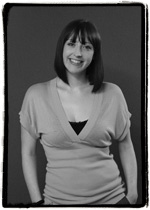 Emma joined Tanners in 2010 to ease the pressure on Richard as online sales increased and was given a baptism of fire when she was tasked with implementing a new website. Having had over 6 years in the wine trade previously, both in retail management and e-commerce, Emma thoroughly enjoys combining two of her favourite pastimes in her day job - wine and online shopping! Her go-to style of wine for a special occasion would be Champagne, indeed her most expensive wine purchases to date have been La Grande Dame 1990 and Comtes 1995. When it comes to food and wine - Emma's very keen to get the right match and if you're a guest at one of her dinner parties, you may be privy to her pan-fried duck breasts with super cheesy mash accompanied by the best New World Pinot Noir her husband will let her buy! 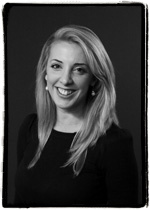 Emma joined Tanners over 5 years ago having had a previous life as a Recruitment Consultant. Having grown up with varying ambitions of becoming a midwife/police woman/fire fighter, she eventually embraced her inner geek, asked to join the web team at Tanners and is now studying for an IT degree in the evenings. Fortunately she turns her computer off for a few hours at the weekend... her perfect Saturday is a bit of fresh air on a cycle ride, then cocktails with friends – as long as there’s a Mojito involved. As for the wine – Emma’s favourite grape is Pinot Noir although she is fast becoming a fan of Grenache since her trip to Châteauneuf-du-Pape earlier this year. With web sales ever burgeoning, Uta was taken on as a Christmas temp in 2014 and we liked her so much, she became a permanent fixture in the New Year! Born in Austria, but raised in the UK, Uta’s family roots are evident in her go-to wine of choice: Little J Grüner Veltliner and her pièce de résistance of Beef Goulash with Semmelknodel is a veritable family favourite. A relative wine newbie, Uta has thoroughly enjoyed the steep learning curve associated with the world of wine and has keen aspirations to visit the Rhône, Tuscany and the Hunter Valley! Outside of work, Uta would describe herself as ‘slightly obsessed’ with taking photos and has a fond ambition to one day publish her very own eclectic tome of images.